Numerous studies in places like the Harvard Business Review find that the way people feel at work profoundly influences how they perform. Keeping this in mind, it is safe to say that the way we manage so-called failure will also profoundly influence our level of achievement. We want to redefine failure and shift our point of view to a more supportive perspective. We have all come to recognize failure to be the disguise of a great teacher and a necessary step to achieve greatness, make a difference, and enhance performance. I can remember my early days as a Silva instructor. I was full of passion to make a difference and change the world (I still am) and yet I lacked the business skills necessary to support my Vision. I cannot even remember how many mistakes – so-called failures I made. I nearly bankrupted myself. I found myself loading trucks for UPS from 4 AM to 9 AM and then working as a waiter in a restaurant from 11 AM to 10 PM just to pay the bills and subsidize my passion for Silva. It was not fun at all. The lesson here is that we are in a constant state of flux, strategizing, implementing and adjusting along the way. It is much easier to make corrections once we have some momentum. It is inevitable to make mistakes along the way. Nobody is 100%. It is not a problem to fail. It is, however tragic to not learn the lessons from the mistakes or so-called failures. There are many factors that cause the fear of failure and make it difficult to overcome failure. I would suggest that when we have unrealistic expectations and strive for Perfection, we are doomed to experience shame-based, toxic emotions of shame, and guilt resulting in us feeling less than deserving of success. This leads to low Self-Esteem and greatly weakens the Attractor Factor to create the life of our design. The net result is procrastination and thinking small. It is important to remember that no one is perfect and there is no such thing as perfect. We are just not wired for perfection. Science teaches us that even the universe is continually changing, correcting and growing. Psychiatrists and Psychologists offices are overcrowded with people suffering from guilt and shame due to the unrealistic expectation of Perfection. Business and production stalls as a result of the inevitable reaction of small-mindedness and procrastination due to the fear of failure when people get stuck in this trap of Perfection. How to transform failure into an opportunity to grow and transform the fear into hope. How? The SECOND step – embrace the fact that you are not perfect and are bound to make some errors along life’s journey. It is not personal and when the s…. hits the fan, it is feedback that you need to evaluate, assess the situation and make a change in your approach. Well, it is true and the surest way to build your belief in yourself is, to begin with small, tangible goals and then celebrate and appreciate the small success. I also want you to look in the mirror and affirm… ”I love and accept myself, just the way I am and I choose to get better.” Another powerful affirmation is… “I deserve to succeed.” AND “I AM ENOUGH”! I also want you to integrate this into your daily dynamic meditation practice like you learned in Silva Seminars. Add the visual component to these affirmations by creatively visualizing yourself making constant progress and future pace it. That is imagine your life vision continually expanding, as the weeks, months and years pass. And FEEL IT. At night before going to sleep review the day. Appreciate and feel gratitude for any progress made. PERMISSION not to be perfect. Rewind back to the mistake as if you were there now and tell yourself, I’m better than that. This is not how I want to be. Then be like a movie director and imagine and/or visualize the way you prefer to be. Have you ever struggled with keeping up with your Silva practice, personal development and/or meditation practice? Have you ever found yourself slipping back into those old unrewarding patterns of behavior? I’m sure the answer is YES, if you’re like the rest of us. Our lives are packed with demands on our time. The result is that the quality of our self care plummets. It’s frustrating! I know because I’ve been there too. Feeding our souls is sooo necessary in order to create new positive patterns that LAST. It’s just like a garden. You plant beautiful flowers, a rich green lawn. If you don’t provide the necessary sunlight, nutrients, and water, the result is – the weeds take over. I want you to create and use a personal library to support your consistent growth and development. Regardless of what it is. Use it, if it provides you the support you need. You will be working to change your brain and body to be greater than your environment. This allows you to truly Take Command Of Your Life. Whether you’re creating a meaningful relationship, working on your health and fitness, cultivating a spiritual practice or building a business, support is necessary to SUSTAIN your growth. Have you ever struggled with the feeling of overwhelm when you seem stuck in a problem? And have you noticed how OVERWHELM STEALS your energy? 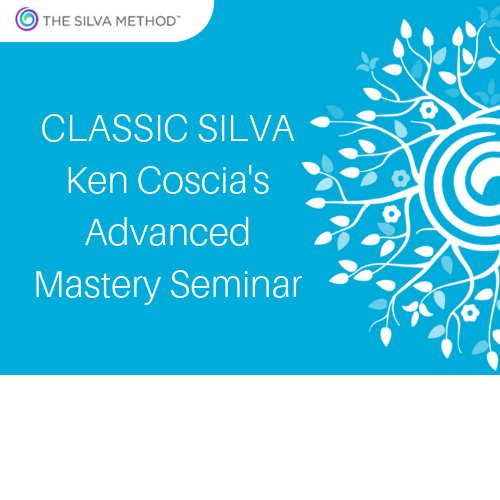 This May 4-5 you’ll have the unique opportunity to build on what you know, and take it to the next level at my biannual event – Silva Life Mastery Seminar. Explore and Discover what’s in it for YOU here.